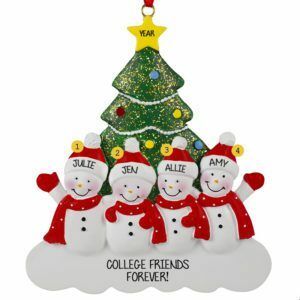 Browse our unique selection of ornaments for the perfect gifts for Four Friends on your list! 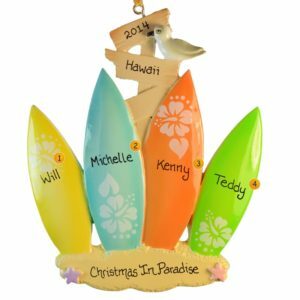 At a loss for the perfect gift – times four??? 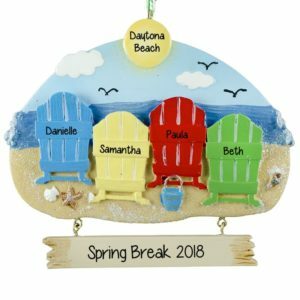 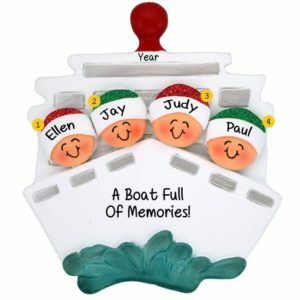 Personalized Ornaments For You the perfect place for personalized four friends Christmas ornaments. 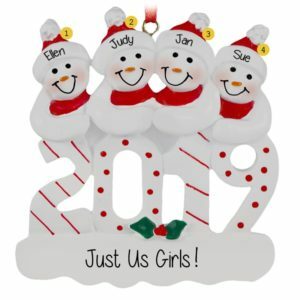 Click through our on-line selection featuring many dazzling designs. 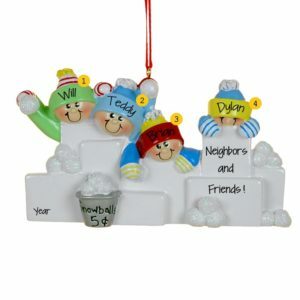 Have one of our artists skillfully hand personalize each keepsake for four friends at no additional charge. 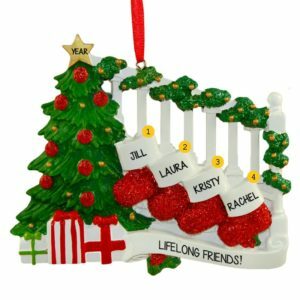 Our holiday ornaments for 4 friends at Christmas make great gift ideas for roommates, bowling teams, cooking clubs and card groups. 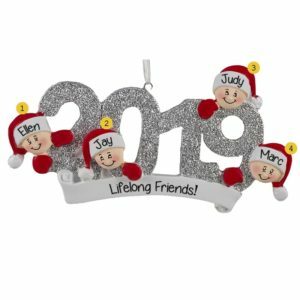 So no matter the age of the friend or length of the friendship, you are bound to find excellent gift ideas for 4 friends who like to spend quality time together throughout the year. 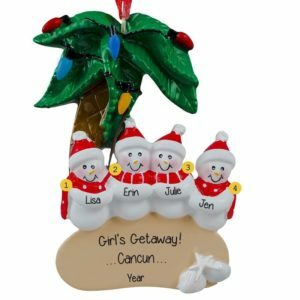 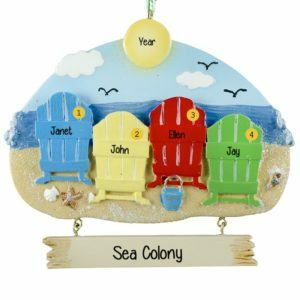 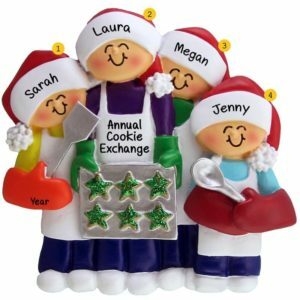 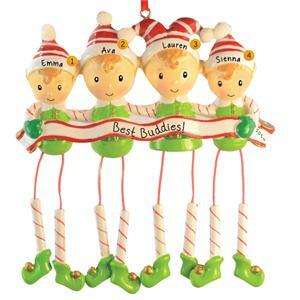 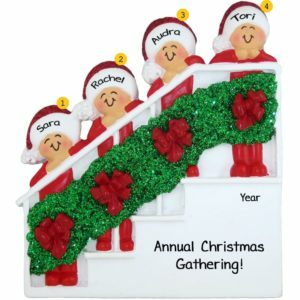 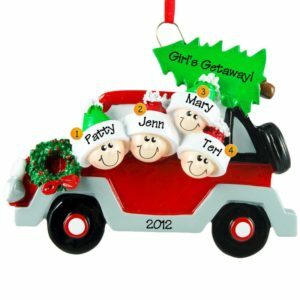 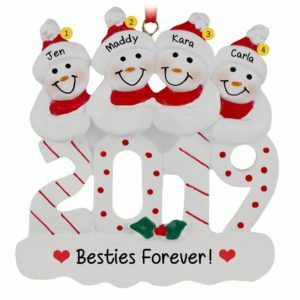 Choose our to share one of our popular 4 friends personalized Christmas ornaments with whole group. 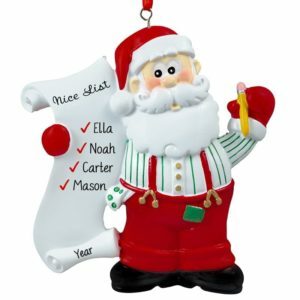 Shop early for best selection!